With a lot of art, just starting can be the hardest part. 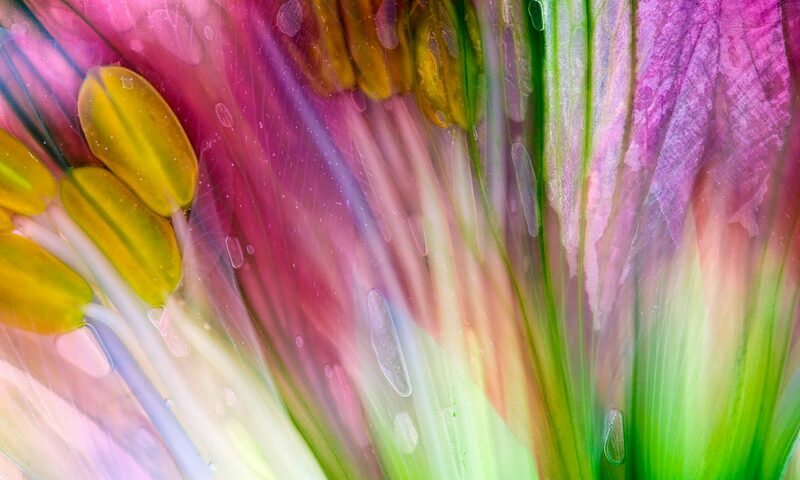 If you're having trouble finding out where to begin with the Macro Art Photo Project or need some inspiration, we asked macro art specialist and IGPOTY Royal Photographic Society representative for Competition 11, John Humphrey, to shed some light on his approach to this exciting genre. Art photography is not easy to define, in fact I often feel that it sounds rather pretentious. However, many photographers want to produce images that make an artistic impact rather than simply being records of their subject. For me, botanical close-up and macro photography is often my starting point in what I hope is an artistic journey. Whether I succeed is for others to decide! The first step of course is to take the picture. For close-up work this can be technically challenging since as you get closer to the subject, the depth of field becomes shallower and movement becomes magnified. These issues can be addressed in a variety of ways or accommodated into the picture to add impact. One of my early approaches in this field was to photograph pressed flowers. They are often very attractive subjects when viewed close-up and have the additional appeal of being flat, so depth of field is not an issue. Scanning across the surface of a pressed flower will often reveal pattern, colour and texture that we ordinarily wouldn’t notice, and can deliver extremely attractive photographs. Where the subject is not flat but overall sharpness is still the objective, we now have a very clever tool at our disposal, namely focus stacking. Here, a series of pictures is taken, and specialist software identifies the sharpest parts of each image and combines them into a sharp composite. An alternative approach is to settle for a shallow depth of field and to accommodate subject movement in the photograph. The blurring of parts of the image can lend a sense of depth and visual appeal that might not be present in a more static image. My final step is often a venture into Photoshop. I will probably adjust levels and colour saturation to suit the desired result. I also invariably experiment with textures, usually applied via a displacement map so that the image is displaced to match the texture image, usually a picture of a separate textured subject such as tree bark or rock. Let's get started. 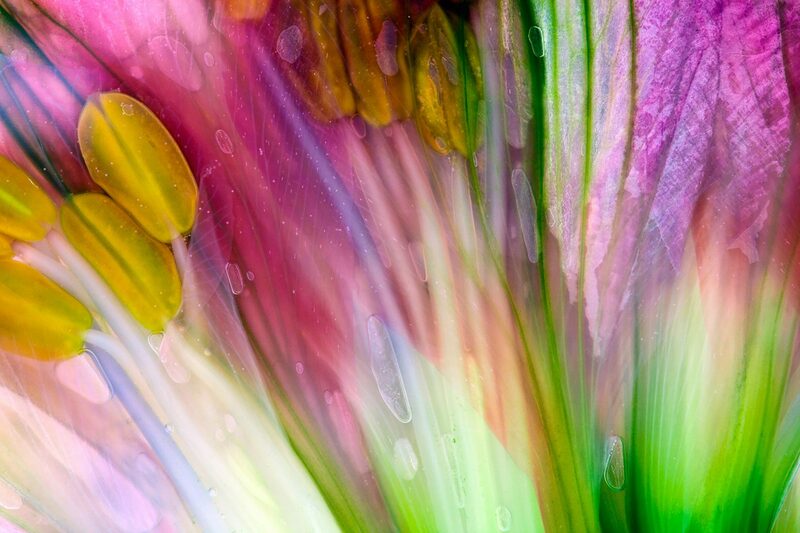 Enter the Macro Art Photo Project now.